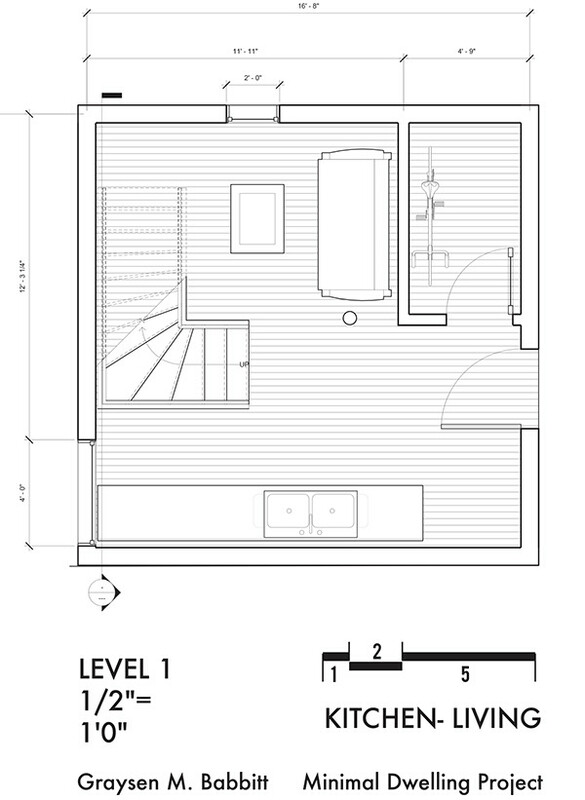 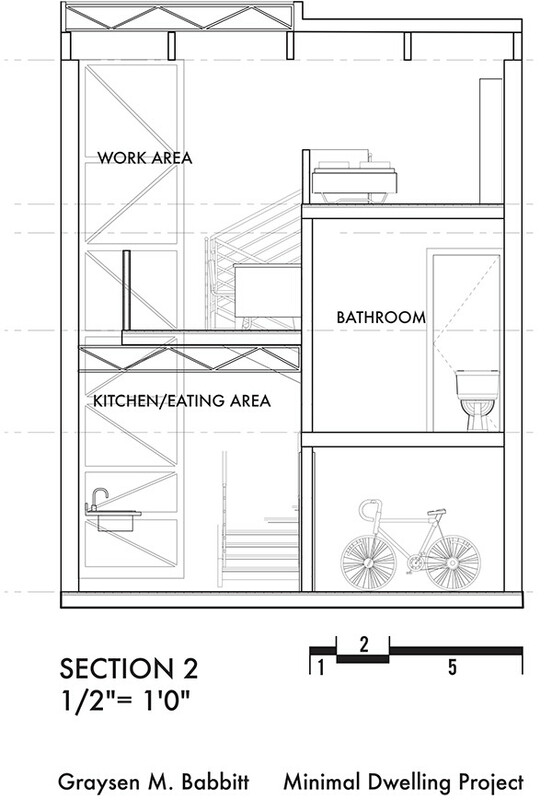 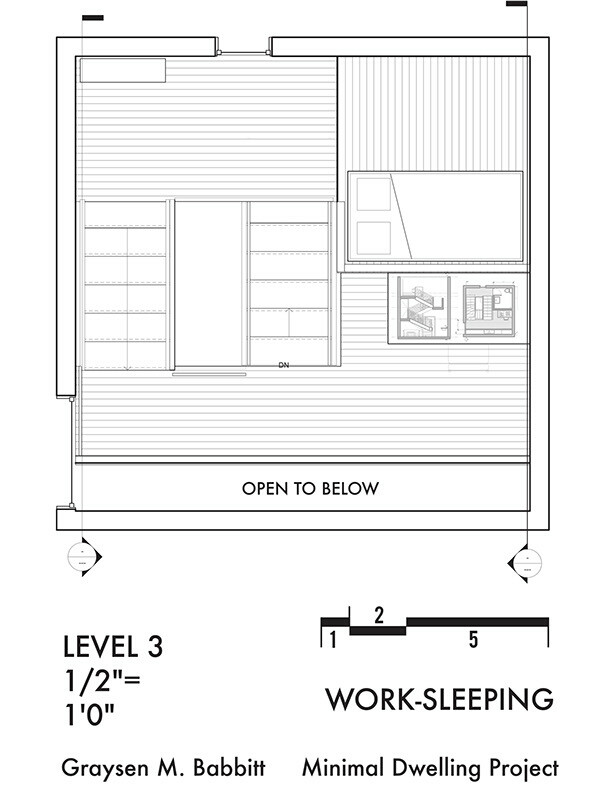 For a two-week design exercise, I was given the problem of comfortably fitting kitchen, workspace, living, storage, eating area, bedroom, and bathroom into a 16'x16'x20' space. 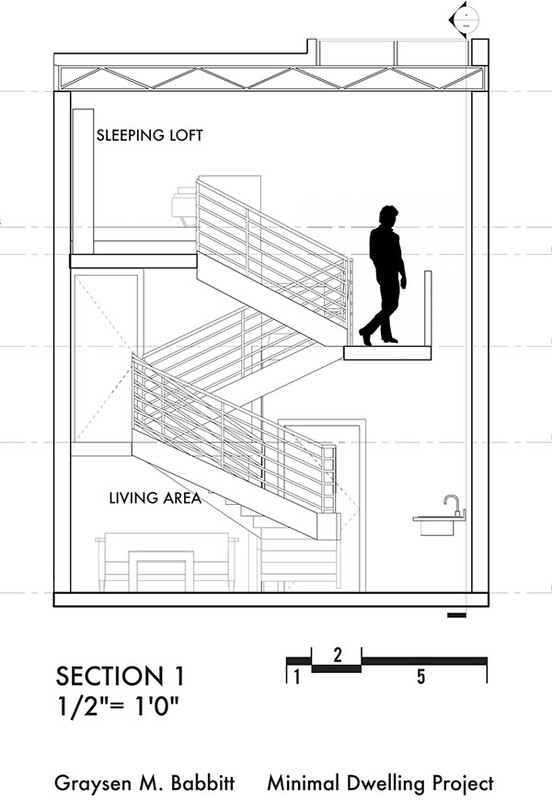 What I was most concerned with is how to make this a place with identity and value. 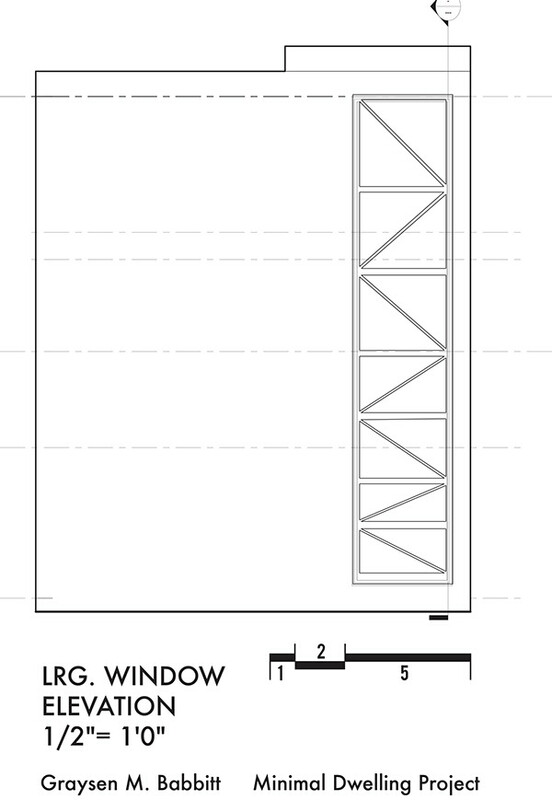 Realizing that this was a compressed space and that triangulagulation was a way to deal with compression, I pushed the concept of triangulation to the structure and spacial organization of the program. 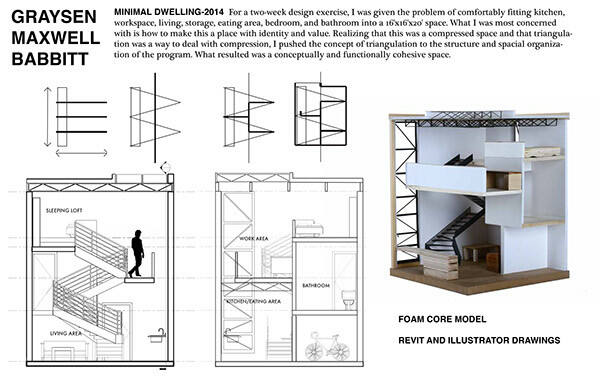 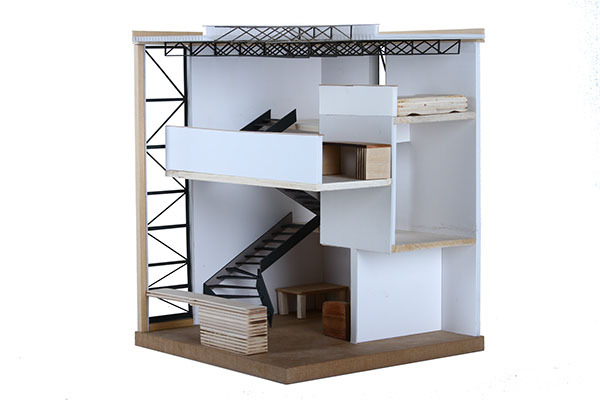 What resulted was a conceptually and functionally cohesive space. 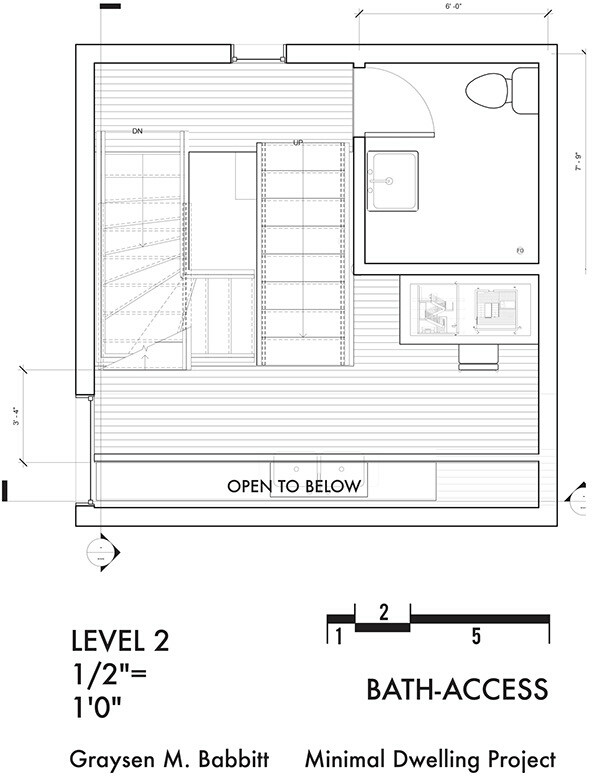 Minimal design for a one person given an area of 16'x16'.